I have a legacy service which has been re-engineered to a more modern version(assumption is that as part of this migration the uri's of the endpoints have not changed). I want to migrate users slowly over from the legacy application over to the modern version. This can be easily implemented using Netflix Zuul support in Spring Cloud project. Here just for a little more variation I am making a direct call to an endpoint for the legacy app and making a call via Eureka for the modern version of the application. 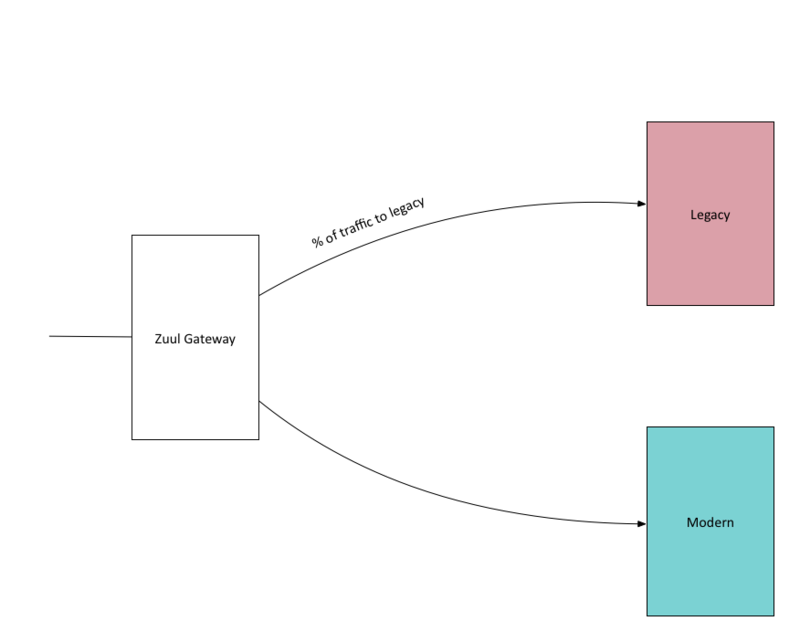 Spring Cloud support for Netflix Zuul makes handling such routing scenarios a cinch and should be a good fit for any organization having these kinds of routing scenarios that they may want to implement.